No Black. No White. Just the Blues. (B.B. King) - Mississippi Believe It! His music brought us tears of joy … tears of pain … and now we shed tears of sorrow. A legend – a King – has left us to join other Mississippi blues greats in the great beyond. Breaking down color barriers everywhere he went, B.B. 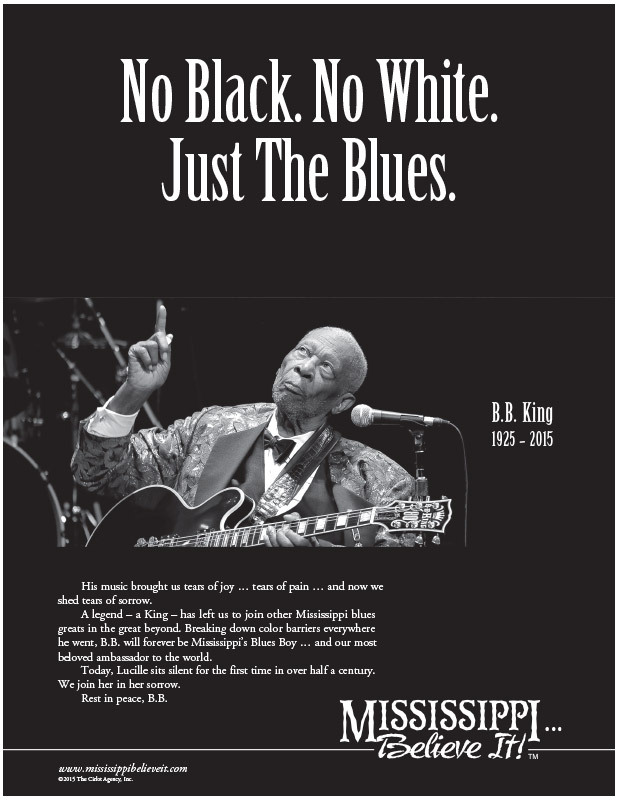 will forever be Mississippi’s Blues Boy … and our most beloved ambassador to the world. Today, Lucille sits silent for the first time in over half a century. We join her in her sorrow. Rest in peace, B.B.